I touched on this on my last CE Blarg entry, where I covered how Dr. Wertham all but eliminated other genres and how the super hero genre had to change due to his "crusade." But that doesn't answer the question: Why didn't other genres resurface after Wertham's influence died down in public life? There are two factors that maintained the super hero dominance in the US market (by the way, there are three acceptable ways to spell superhero--superhero, super hero, and super-hero--funny story as to why... perhaps another time). The first is the persistence and power of the Comics Code Authority. It alone (as outlined in the last CE Blarg) kept crime and horror and romance comics from resurfacing, but there is another major factor that doesn't seem that important at first glance: the rise of the Direct market. I'll give you the short version of how the DM came about here. 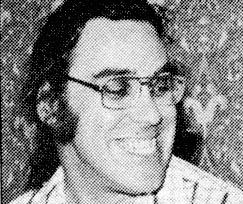 In 1972, (the Comics Coda Authority still in full swing) Phil Seuling approached comic retailers about getting comic books earlier than newsstands, at a higher discount per comic, but on a non-returnable basis. The newsstand market can order as many copies as they like, and whatever copies they don't sell, they return (destroy, actually) to the publisher for credit towards future purchases. This is great for the 7-11s of the world, but not great for publishers who have to print way more copies than they sell. For that reason, publishers loved the idea of selling to a DM that could not return the comics after a month or two. 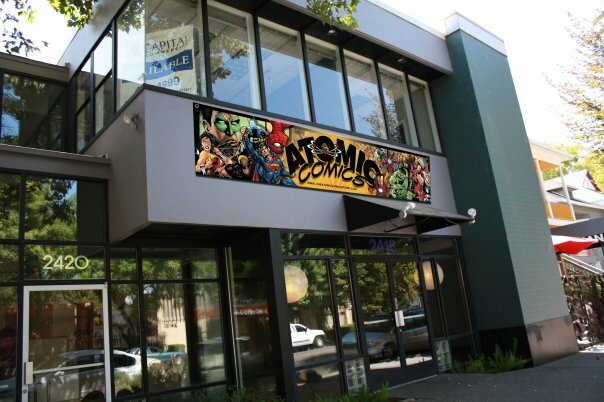 The retailers who participate in the program would get comics a month earlier than the newsstands, and could control more precisely their inventory. So, with the DM, retailers really only had super hero comics to order at the time (with few exceptions) and so they reached out to super hero fans. Those super hero fans became their customer base. Both publishers and retailers knew that they needed to keep those youngsters who would come in every week very happy. Great system and makes perfect sense. And as those kids (myself included--I was born in 1976 and had two older brothers who were comic book fans) grew up, the comics publishers continued to "grow-up" the comics. By the time I was an angst ridden teenager, my comics were about angst ridden teenagers... with super powers. The dialogue was more sophisticated. The art was more representational. I had begun to pay attention to those credits in the comics, and publishers and retailers knew I wasn't the only one. They would hire popular creators to entice myself and others to buy comics we weren't already buying, or they'd cross a popular comic over with less popular comics to increase sales... to me. The result was that new readers were rarely coming into the market. Kids weren't coming in as the comics had grown up and weren't for kids anymore. There was no incentive for retailers to order comics of any other genre since their customers were all super hero fans who had been reading superhero comics for years and shown no interest in other genres. And that was the crux of the super hero dominance. Retailers had no customer base for other genres. They had major trouble reaching out to potential customers who might enjoy other genres because they were specialty shops created for super hero fans. How were they supposed to even let other people know that comics of other genres existed and were good enough to make a special trip to a hobby store for? And there was no longer the newsstand to act as a "feeder" to kids. To be fair, the newsstand market has not completely dissolved, but it mostly has. Publishers, like the retailers, had little reason to create content other than super hero genre. They knew they could sell super hero comics in large numbers on a non-returnable basis. And if they tried other genres, the message would come back the same from the Direct Market every time--we have no interest in them. Why create content for a genre that will sell a 10th of another super hero comic and spend the same amount of money on its production? It simply doesn't make any sense to do so if you're Marvel Comics or DC Comics. Over the years, both Marvel and DC Comics have made attempts to reach beyond super heroes. DC Comics has had greater success, but with only a handful of exceptions, none of these comics has managed to become a best-seller in a direct market shop. But so far, no comic outside of the superhero genre has been a consistent best-seller until the 1990s with DC Comics' Vertigo Imprint and SANDMAN. Today, we have had a few more. Currently, THE WALKING DEAD is a comic book dynamo and there's not a superhero to be found in it. But from the early 1950s until the mid-1990s, there was simply no other game in town. And honestly, there's not been that much headway even in recent years. Two great recent blog posts, Andy!!! Really interesting insight into the history of comics (especially in the States). Genre-wise, I've loved the last 5 years of getting into IDW and the wide variety of genres they ace at!!! A very interesting, thorough follow-up to an equally fascinating blarg. You make an excellent point that the D.M. is basically for geeks at this point, and people who would read other genres of comics aside from super-hero genres would not walk into a comic shop. Question! Having never been to Comic-Con, I was wondering if you noticed "non-super" genres such as suspense, comedy or romance genres have successfully sold there? Obviously, its notoriety for being a smorgasboard of super-duper-everything-and-anything might discourage this, but recent content such as Twilight or The Walking Dead has brought new fans to Comic-con (I use these two in the same sentence only because no capes or tights are to be found in them.). This brings in more customers who may be less likely to buy a Superman graphic novel and more likely to buy a book closer to that of "Blade Runner", "Collateral" or even "The Notebook". Your thoughts? Awesome and interesting post Andy. I grew up around the same time, and I never really realized how comics grew up with me... and how supers were really the only game in town for a very long time (though I still managed to discover Judge Dredd and other 2000AD stuff at my local shop). Glad to read that you're for more diversity. I'm psyched because I'm taking your upcoming writing course and I have close to zero interest in working on a superheroes book. Maybe in the future, but right now, as a writer I see so much more potential for great stories in other genres. Comics Courses Open for Enrollement!